At 29, World Cup alpine ski racer Resi Stiegler is one of the most inspiring athletes out there. She's remained incredibly upbeat after a series of injuries, including a torn ACL, have recently impacted her pursuits. 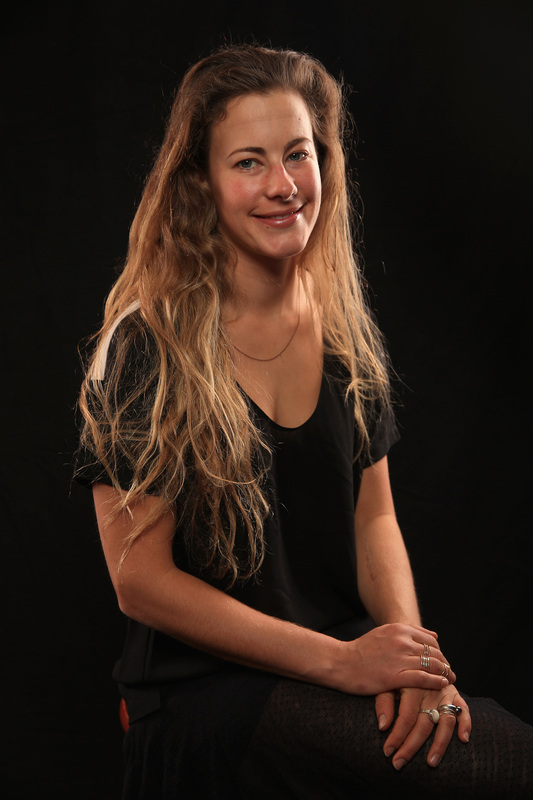 Her career has been marked by various injuries over the years, but Stiegler has become a public figure thanks to her individuality (and her swoon-worthy Instagram account, where she documents her picture-perfect world travels and athletic pursuits). I spoke with Stiegler at the Paul Mitchell Focus Salon's Raika Studio, ahead of the New York Gold Medal Gala, and one factor dominated the conversation: She understands why it's important to be yourself. It's been a driving factor in her skiing career. Stiegler, a member of the U.S. Ski Team, specializes in an alpine skiing disciple called slalom. She's earned 18 World Cup Top-10 finishes in slalom, giant slalom, and super combined, and she's been a member of Olympic teams in 2006 and 2014. Stiegler competed in her first World Cup race when she was just 17, and in her early races, she adopted an interesting trademark that helped define her career. The skier wore a pair of tiger ears on the outside of her helmet during her first race, and she kept wearing them for years — and races — to come, despite backlash from the International Olympic Committee. She's since stopped wearing the ears, but their memory lives on — one fan recently praised "la tigre" on Twitter in response to one of Stiegler's tweets. So why the tiger ears? Stiegler tells me that because she was so young when she started competing, she "was looking to be a little bit more standout, and trying to be different than the rest of the tour." Stiegler explains that the ears started out as a joke — after having a "terrible first race of the year," she and a friend found the ears in a small-town store, and joked about how funny it'd be if she wore them during the race. "I've always wanted to just be a little bit different, or just to show that I am different, from everyone else," Stiegler says. But what started out as teens trying to rebel ended up teaching her — and her fans — a powerful lesson about being yourself. Stiegler also tells me that when the International Olympic Committee didn't want her to wear the ears during races, her friends and family didn't understand why. That led her and her supporters to push back, because there was no reason Stiegler shouldn't have been able to be an individual, even during races. Stiegler said the people around her told her, "If it's not harming anyone, then speak up!" That's true for a lot more than wearing ears on top of a helmet. Who you are, and what you do with yourself and your body, is no one's business but yours. But even if you're not a public figure like Stiegler, it can be easy to feel pressure to conform to certain standards. Stiegler says that it's "important for kids to understand that they can be who they want to be," and she hopes that her tiger ears could help play a role in encouraging individuality in young people. I'm all for Stiegler's upbeat attitude and her unique brand of quirkiness, ears or no ears, and I can't wait to see what the athlete does next.